First off you need to have an idea on what kind of spawns you want, like undeads, aberrations, animals or so on. After choosing what kind of encounter you want you check the existing monsters out. 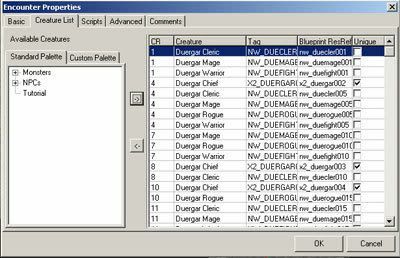 In this example I'm gonna add some Duergar to an encounter, so I check out the existing Duergar in both Standard and Custom to see if they fit into the plans I have with my spawn (If not or if I want to tweak/add more monster I just right click on the monster and choose "Edit Copy", remember to rename the copy and then just tweak it). Next step is to add the encounter "trigger area" to the scene, simplest is to grab an existing one and add it to the area. Though if there's no encounter named or made like you want, you can just right click on any encounter and choose "Edit Copy", same as mentioned above. 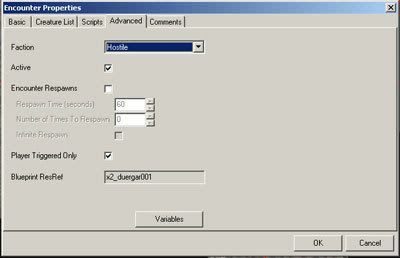 What needs to be done with each new Encounter is tweaking the Properties. 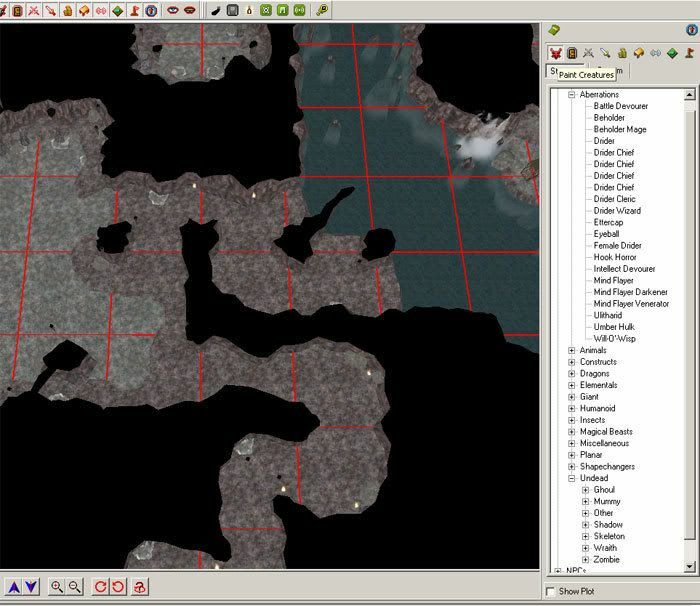 - The only things you really need to pay any attention to is; Difficulty, Maximum Creatures, Minimum Creatures and Spawn Option. 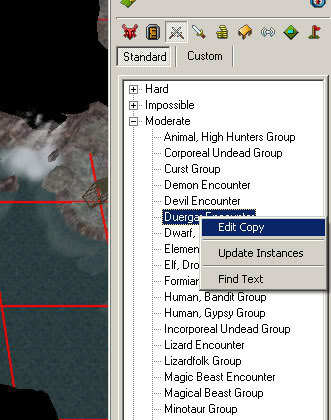 You should change the Name property of the Encounter if you are to create a totally new encounter. Difficulty: Is how the encounter is to be set against the level of the char triggering the encounter (best is to check out other encounters in the same area). Maximum/Minimum Creatures: This is how many creatures that are to be spawned, max and min. Spawn Option: This one are be changed to "Continuous", as we want it to spawn several times. 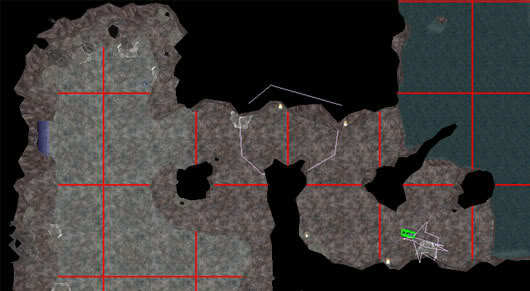 This is where you choose what kind of creatures that are to spawn in the encounter. You add/remove monsters with the small arrow-buttons between "Available Creatures" and the creature list. Just add the creatures you want added, also keep an eye on the CR of the encounters (depending on the area, you do want an as wide as possible encounter). Faction: Hostile is the most common faction when it comes to monsters, just keep it like it is. Active: Needs to be marked. Encounter Respawns: Mark this one and also fill the Respawn Time as this is the time in seconds before the encounter is active again (standard on most respawns is between 260 - 360 secs). Infinite Respawn: This needs to be marked as well. 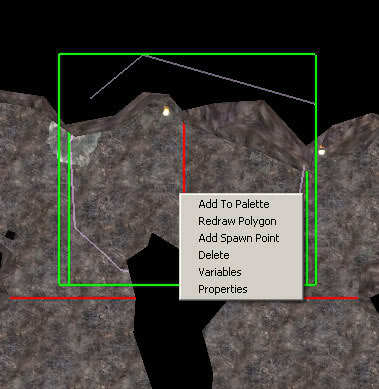 After tweaking the properties of the encounter and having it added to the area you need to add "Spawn Points". Simply right click on the encounter and choose Add Spawn Point. You can add more Spawn Points and the thought with this is that the monsters will spawn at the furthest location from where the encounter is being triggered. 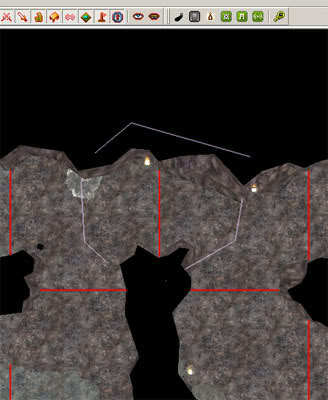 You want to place the spawn point rather far away from the actual trigger (could also be behind a corner in a cave or on the other side of some trees), since otherwise the spawns will appear "right-in-the-players-lap". The spawn point looks like a triangle with a lined arrow pointing down on it. It's important to set the direction of the triangle so that the spawns is facing correctly (could be the spawns have the back to the characters or are facing them, it all depends on the situation and area). 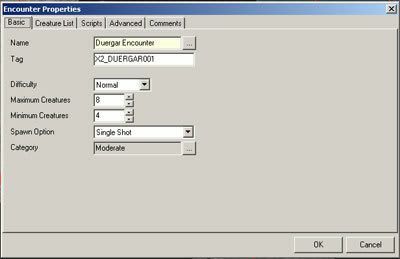 You have now added an encounter that spawns every time a character walks into the encounter trigger. It is normally a good idea to lengthen respawn times to allow for additional roleplay and to help control grinding. » Adding a Base to your Model... what have you done?